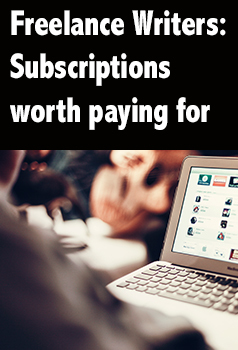 Those monthly subscriptions add up. How do you know what’s gonna be worth that five bucks? Well, it depends on your goals. Are you looking for an agent? For new markets? While there are plenty of amazing resources you can get for free, some are worth their fees. What: The Writers Market offers updated listings of everything from agents to publications you can submit to. 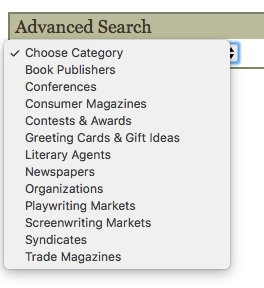 Search by category to find the right place (or person) for your writing. When: Subscribe when you’re ready to start seriously submitting articles, book manuscripts, or when you’re looking for an agent. What: Publishers Marketplace is the go-to site to understand the publishing industry. Find out who represents an author, what book deals are being made, and (to some extent) how they’re selling. When: Subscribe months before you start working on a book proposal and looking for an agent or a publisher. Start seeing what’s selling and who’s selling it. Keeping track of the publishing industry will help you break into it. What: Spotify is an app for streaming music. Create your own playlists or find other’s. I use my writing playlists every day. What: A phone recording app. I use Tape a Call for all my phone interviews. It’s cheap, and I can upload the interviews to my Google Drive. Helpful hint: I do a test call first to someone I know to make sure the app is working correctly. When: When you do your first interview! How Much: $10 annually. If you don’t pay for the Pro annual subscription, Tape a Call will only record the first five minutes of your calls. I use it to find new journals, because I can see where pieces have been accepted that are similar to the ones I’ve already submitted to.